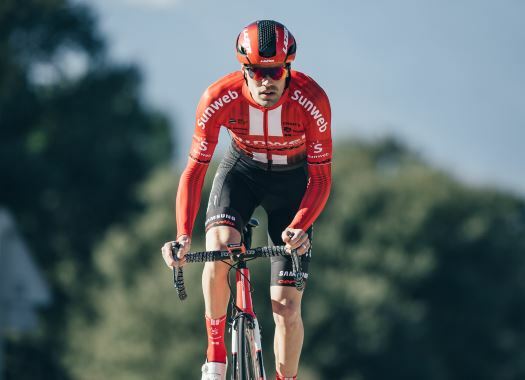 Team Sunweb's Tom Dumoulin crossed the finish line of the fourth stage of Tirreno-Adriatico at 23 seconds from the first group. The Dutchman sits at 50 seconds from Adam Yates, in the third position of the General Classification. Dumoulin was in the front group at the second half of the fourth stage of the Italian race but when Alexey Lutsenko attacked and Primoz Roglic, Simon Yates and Jakob Fuglsang went on to chase him, the Dutchman was unable to follow. He continued at his rhythm with the second group and lost 23 seconds with the head of the race. "In the finale, I was not super and I couldn’t follow the best, we knew it was going to be a difficult stage today," he commented at the end of the day. "I hope tomorrow for better legs in the finale. My shape is good but not top yet, hopefully, I can be better tomorrow." The fifth stage of Tirreno Adriático will be a wall climbing day with sharp ascents in the second half and a difficult uphill finish.